Graphic design is no doubt a lucrative career. 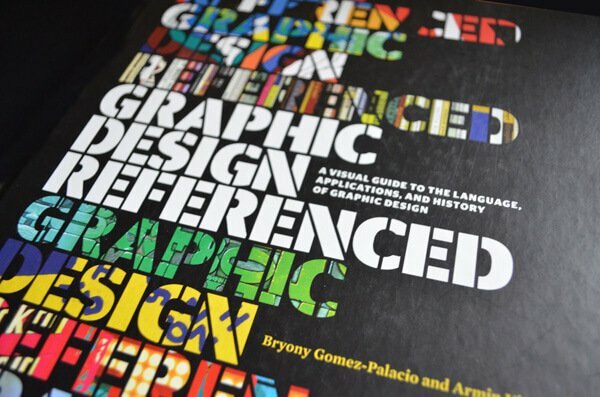 There’s a growing demand out there for graphic designers. The following are some of the top 10 online schools in which you can study this course. Online degree programs can either be bachelor’s degrees or associate’s. It is important that you find a program that is highly ranked and meets the quality standards expected. The following are some of the top 10 best online graphic design schools. The Academy of Art University has managed to keep its good reputation ever since it was founded in 1929. Located in San Francisco, the University offers associate’s, bachelor’s and masters degrees. All these are fully offered online. The curriculum fully covers topics on print media, web design, branding and identity, motion graphics, packaging and typography. All the professors are professionals who have vast experience in the field. Many of the students who graduate from this credible university go on to work for companies such as Apple, Pixar, Sony and KODAK. No University will teach you how to compile a winning portfolio better than Full Sail University. This University located in Orlando FL, has specialized in offering design and entertainment courses of the last 30 years. Its online bachelor’s degree program gives students real-life experiences in the field of graphic design. Full Sail received recognition for its excellent programs from the Rolling stones, Unleashed Magazine and Tips & Tricks. Many of its graduates end up working on major advertising, TV, motion pictures and games. DeVry University has more than 95 campus locations. This makes it easier for those taking online classes to access in-class support and research materials when need arises. Its graphic design program is a mixture of graphic design and web design. It’s well blended curriculum is what makes its graduates stand out in the field of graphic design. Other programs such as multimedia design are also offered. With 18 different colleges bearing its name, Stanford Brown University has produced over 170,000 graduates. Its online associate’s and bachelor’s graphic design degrees are offered by The International Academy of Design & Technology. The curriculum for these two programs is designed in a comprehensive manner such that the basics in drawing and fundamentals in design are covered using digital imaging and press skills. Statistics released by this University shows that most of its online graduates between the year 2012 and 2013 are employed gainfully. As a non-profit university, SNHU makes its priority to arm its students with skills that will make them to be successful and professional in what they do. Its small classes and real life experiences are part of the quality education offered by this university. Its curriculum covers areas on fundamentals of drawing, web design and typography. Rasmussen College draws its reputation from the fact that it has over 20 campuses and offers many degree programs. It also boasts of a high success rates in its graduates. More than 85% of the students in this college are satisfied with the programs offered. You can choose to do either an associate’s or bachelor’s degree online with specializations in the field of Motion graphics or animation. Both programs make use of software relevant to the course. The curriculum also comprehensively covers concepts that help students compile a well-detailed portfolio. Rasmussen College goes on to help its graduates find jobs and internships. The Art Institute of Pittsburgh has produced competent graduates ever since 1921. Its online associate’s and bachelor’s programs can be completes in a span of 18 and 38 months respectively. Students are equipped in skills such as mastering of Adobe Photoshop, InDesign and Illustrator. The school also helps its graduates in developing a professional portfolio that will market them to prospective employers. For those looking for a Christian University, Liberty is the place to go. It distinguishes itself from other online universities by taking a more traditional perspective in graphic design. Its curriculum extensively covers history and studio art. Its degree programs impart graduates the skills of teaching design and studio art. Independence University has for the last 100 years produced quality graduates in different career fields. It’s a non-profit university that also offers online programs for both associate’s and bachelor’s degree programs in graphic design. These programs equips students with skills that will enable them work in advertising and media or as freelance designers. The associate’s and bachelor’s degree programs take 15 and 30 months respectively. Herzing University offers an associate’s degree program that goes for 80 weeks. Its curriculum focusses on print design and web design. There’s also a bachelor’s degree program that goes for 144 weeks. Most of the students who graduate from Herzing go on to be fully employed within a few months after completing their respective programs.